Goodbye October-Hello November! I truly love this time of the year. It’s time to celebrate, give thanks and enjoy our family and friends. The weather is slowly changing in Miami. I am sure we will still hit the 80’s but waking up to the 70’s is so nice. I hope you have a fabulous Friday. Don’t eat all of the kid’s candy while they are not home. Cheers to the weekend! Muddle strawberries and vodka in a shaker. Shake well with ice and strain into a martini glass. 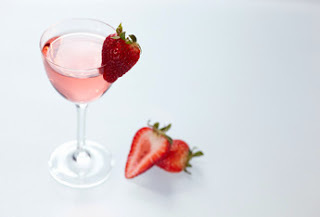 Visit www.thebar.com for mor holiday recipes!